You are going to gain 25 percent more reward points if you reddem your points for hotels, auto rentals, cruises, airfare. 50000 rewards points for $4000 purchase is very good rate and good rewards bonus. This is a card which based on travel. There is no foreign transaction for this card and this is important. Cash Advance APR is very high. 2x rewards points (and also 25 percent bonus) are limited with travel categories. If you are not interested with travel much, we don't recommend this card to you. Interest rates are very high and there is no introductory period. This makes this card unprofitable when you compare it with many of other travel cards. Balance transfer fee and cash advance fee rates are high. 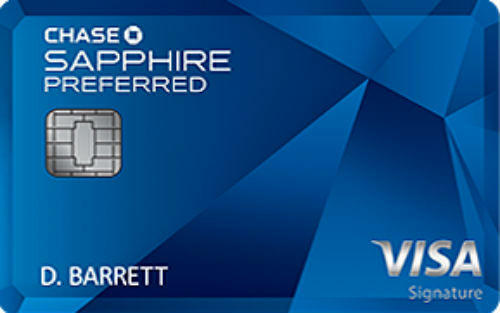 Chase Sapphire Preferred is a good travel card which provides many goods who wants to have rewards from travel purchases. There is no annual fee and there is no foreign transaction fee of the card. It is important that there is no foreign transaction if you visit abroad very often. There is not any introductory APR period of the card. The annual fee is $95 and it is not that bad for cards in similar levels. 5% cash advance and balance transfer fees are high. Card’s current APR is already high too. Minimum APR of the card is 18% and the maximum is 25%. 25% more rewards when you redeem your points for hotels, auto rentals, cruises, airfare. 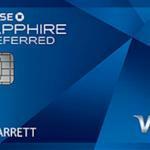 You can see all rates of Chase Sapphire Preferred below. There are also user reviews and editor scores for the card. You can read some users reviews of Chase Sapphire Preferred below.